Have you ever heard the phrase “find your voice”? 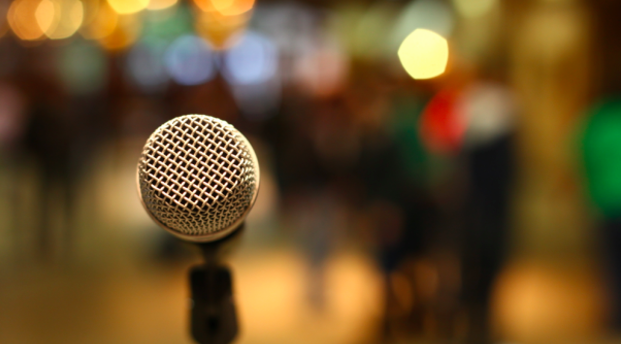 Your voice is how other people know and recognize your work when they encounter it, and the most unmistakable voices resonate deeply with their audience. They are the through-line in your life and body of work, and are often sourced from a deep and compelling “why”. Many people believe that your voice is something that you go digging for once, and then forever have it. However, this is not consistent with how the best and brightest grow. In truth, people with resonant, compelling voices develop them over time by acting, observing, and re-directing. Success comes in layers, not all at once. It is a process. Of his early days of developing his voice, the famed comedian Steve Martin wrote “I was seeking comic originality, and fame fell on me as a by-product. The course was more plodding than heroic: I did not strive valiantly against the doubters but took incremental steps studded with a few intuitive leaps.” This is reflective of how many brilliant contributors develop a unique voice. If you want to follow in their path, you must pay attention to the patterns in your environment, and be willing to take small, intuitive leaps each day. These small leaps prepare you for the big ones that inevitably follow. However, these leaps are not always obvious. It’s easy to settle into habitual patterns in life and work, and over time you can miss some key opportunities to step out and carve your own niche. Where are you paralyzed with fear? Often the places our intuition tells us we should explore with our work are the places we’re most afraid to go. The weight of uncertainty can overwhelm us and cause us to shrink back from action. What is one small, strategic risk you can take today to begin moving in the direction of your fear? Where are you afraid of looking incompetent? Sometimes we don’t experiment and learn new skills because we don’t want to compromise the opinion others hold of us. As a result, we stop growing because we’re not taking risks and learning new skills. What one skill will you commit to learning a little each day, even if you appear to be incompetent at first, so that you can continue on a trajectory of growth? Where have you fallen into “comfort mode”? The love of comfort is often the enemy of greatness in our lives and work. It’s easy to default to the comfortable choice, but small decisions to settle in the moment eventually add up to a compromised body of work. Look for places where you settle for a default mode of action, or where you are busily bored, but not really applying your unique passions and skills to your work. What small change of pattern or habit can you make today to help you shake things up? Where do you have a relational outage? If you want to develop a unique, compelling voice, you must stay connected to others who will speak truth to you. Who tells you when you’re off-base, acting like someone you’re not, or generally sidestepping your best work? Who in your life speaks unvarnished truth to you? Have the courage to develop your own voice rather than spending your life imitating others. It is a great tragedy to spend your life building someone else’s body of work.